Ford never built a 4-door version of their popular Ranchero wagon, but if they did build a 4-door El Camino, it would have probably started with the wagon like this next thing. 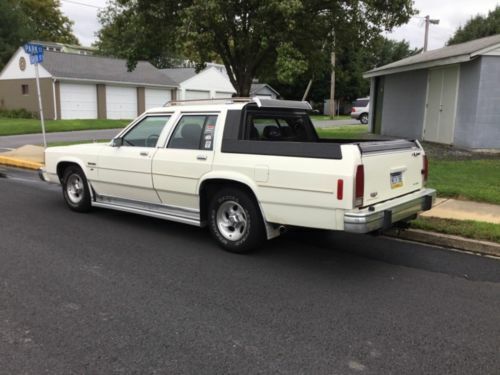 Find this 1980 Ford Ranchero here on eBay bidding for $3900 with 4 days to go, located in Shoemakersville, PA. Tip from Lou. Ford Ltd wagon converted to 4 door ranchero. Low miles,81,000. 351 Windsor V8. Holley 4bbl,aluminum intake,and radiator.Automatic trans. Air conditioning. Power steering. Power brakes. Solid car. Runs and drives good. Entered in local car shows. Many complements and comments. Even won two trophies. Original front and rear seats included for the purists! Well, I wanted to hate it, and came here to post some pithy, sarcastic comment, but honestly the guy accomplished exactly what he set out to do. It reminds me of the Chevy Silverado (disclaimer: I don't like the look of the Silverado!). I like the photoshopped Ford brochure. @Patrick - Avalanche, that's what I meant to say, instead of Silverado. All those big trucks look alike, except for the ones that don't. I really want to like this. 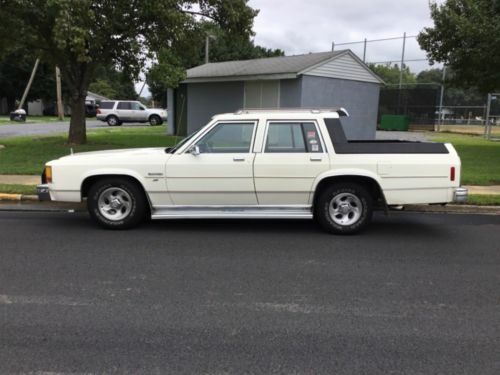 Love the Ranchero/El Camino style "ute". But the lines on this just don't work for me. I'm on a snark-free diet today, so no further observations. Damn, I like this! It came off looking much like a Chevy Avalanche or that Honda trucklet-thingy, but the overall look on the Ford really looks like it could've been a factory "what-if" mule (obviously, it's not!)...Neat! Ah yes, the alternate future where Australia won WWII and invaded the US. Gotta love the marriage of diamond plate and plywood separating the rear seat from the "bed". Agree that this looks like a coulda/shouda/let the Ozzies build it mule. I will never be able to see another Honda pick-up without seeing this in my mind. Anyone with a station wagon and a sawzall will be tempted to try to do it better, but will likely set down their beer and walk it off. What, no hot tub in the back?